Soft Scrub Sweepstakes! 51 Winners! Soft Scrub is having a great giveaway! One person will win $1000 and 50 people will win $40 in gift cards! 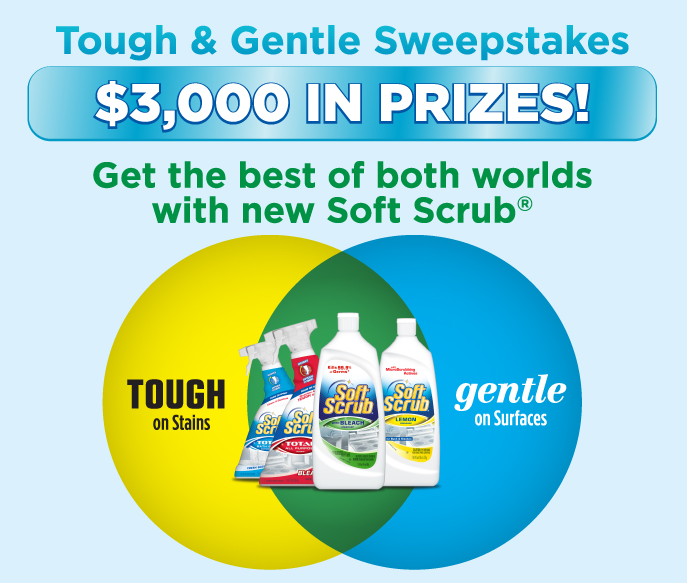 Enter here: Tough & Gentle Sweepstakes! Let me know if you win! !